Some of the best conversations or chats I’ve ever had were with my father as we gazed up at the stars while we were camping. It seemed like the business of normal life would stop then, and we could have long conversations or discussions during which we would talk about everything under the sun. I now wonder why we only went camping a couple of times, for I sure would have liked to have had more conversations or times to speak with him. I am therefore making sure that my son and I do plenty of things together to spark conversation or a talking with each other! Quiz: Try again! Who can have a conversation? Two people who are both swimming laps in a pool. Two people who are both sleeping. Two people who are good friends. 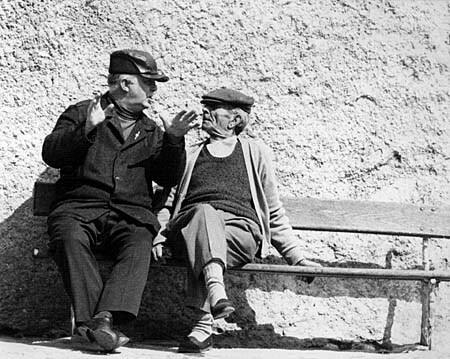 A conversation is a talking or chatting between two or more people in order to share ideas, thoughts, and feelings. The "Say" in Conversation The "say" in conversation is what conversation is all about! You have “turned with” another person when you are having a conversation with them. 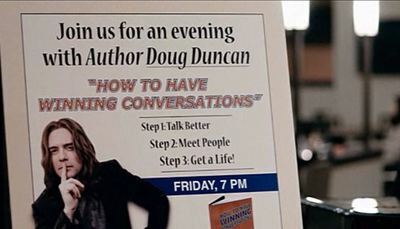 The Great Mechanical Man Doug Duncan teaching people how to have a meaningful conversation.